Trust the minds behind one of the spanish leaders in electronics producing to design and assembly your custom electronic circuits. On-demand manufacturing in clean room facilities and double quality assurance (in-circuit and optical). Do you want to have a look to our SMD assembly facilities? R+D electronic engineers and CAD design teams that perform the customer's on-demand electronic project. We make your projects come true. From the conceptual idea to the design, optimisation and production in specialised plants. With double test system (in-circuit and optical) to assure the quality and reach the ZERO-error target. Do you need some equipment that can adapt to your needs? State your requirements, we will study and develope the best solution for you. We design, optimize and produce custom electronic and on-demand equipment in our own manufacturing facilities. Controlled pressure, temperature and atmosphere to ensure the maximum manufacturing quality of PCB printed circuit boards. 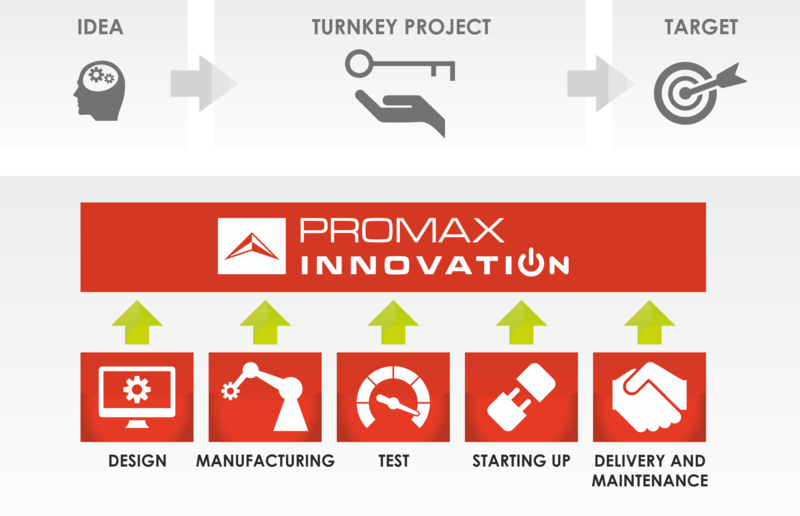 PROMAX INNOVATION designs, develops and produce PCB circuit boards and electronic equipment on-demand to meet the customer needs. Our R+D engineering teams create and optimize the customer electronic design, that is manufactured with SMD technology in a clean room with a controlled atmospheric environment and it is assembled in our own production facilities.